Basel, Switzerland — October 10, 2018 — Cloud Foundry Foundation, home of a family of open source projects including Cloud Foundry Application Runtime, Cloud Foundry Container Runtime and Cloud Foundry BOSH, opened its European Cloud Foundry Summit in Basel, Switzerland today, with news from organizations including CGI, evoila, Grape Up, Huawei, IBM, ITQ, Pivotal, Snyk, Stark & Wayne, SUSE and Swisscom in addition to the Foundation’s official launch of its Certified Systems Integrator Program. The 2018 European Summit is taking place today through October 11 and is supported by Platinum sponsors Dynatrace, Pivotal, SAP and Swisscom. The Foundation also announced two new projects — Eirini and CF Containerization — have been accepted as incubating projects by the Project Management Committees (PMCs), which oversee platform engineering of the open source projects, in order to further the interoperability of Cloud Foundry and Kubernetes. Additionally, the Foundation announced that Cloud Foundry technologies are powering INDICS, China’s first industrial internet platform. 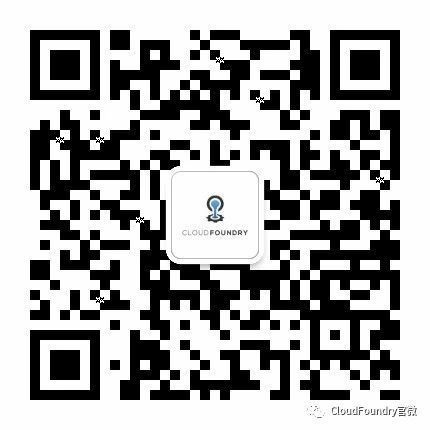 Launched by CASICCloud, a subsidiary of China Aerospace Science and Industry Corporation, INDICS is currently the only industrial cloud platform in China that provides smart, collaborative and cloud-based manufacturing. Cloud Foundry has been instrumental in the development of INDICS and will continue to be the engine driving China’s manufacturing industry towards complete digitization. CGI announced it has received the 2018 Partner Award for “Systems Integrator of the Year for Platform Scale” presented by Pivotal Software Inc. CGI drives platform adoption and supports legacy transformation at scale by integrating the Cloud Foundry platform into the CGI IT modernization approach. Huawei announced Huawei Cloud has become one of Cloud Foundry’s infrastructure providers. By creating a Cloud Provider Interface (CPI) for Cloud Foundry BOSH, users can now run the Cloud Foundry Application Runtime (CFAR) and other BOSH deployable workloads. Huawei Cloud is a stable, secure and sustainable cloud platform, offering a comprehensive suite of online cloud computing and AI services to power its customers’ business. Snyk announced it is launching a free-tier version of its container vulnerability management solution in general availability. Snyk’s container vulnerability management solution allows developers to scan, find and fix vulnerabilities in their Docker container images, empowering developers to fully own the security of their Dockerized applications. SUSE announced a new Kubernetes-native implementation of the popular Cloud Foundry development model is coming to SUSE Cloud Application Platform, advancing the company’s drive to help enterprises accelerate application delivery, speed innovation and increase business agility. SUSE is committed to including technology from open source Project Eirini that allows Kubernetes to be used as the container orchestration engine for deploying and managing applications through Cloud Foundry. Swisscom announced new Container Services with Kubernetes based on Pivotal Container Service (PKS), allowing users to leverage a 100% native Kubernetes interface and tooling. This is an addition to its cloud portfolio as the next evolutionary step after virtual machines for today’s IaaS customers and has a positive effect on efficiency and productivity in operations and software development. Tuesday’s Hackathon winners will be announced on-stage during Thursday morning keynotes. The winning Hackathon team from the 2018 Boston Summit will join Chip Childers on-stage during keynotes to discuss their project and are featured in the Experiments & Extensions track.